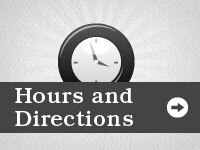 Queen: All queen beds can be found in this category, although most beds are also available in different sizes. Twin: All twin beds can be found in this category, although most beds are also available in different sizes. 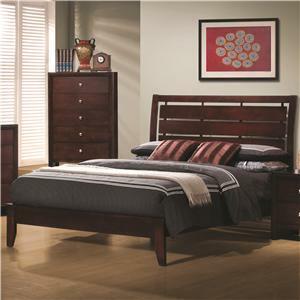 King: All king beds can be found in this category, although most beds are also available in different sizes. 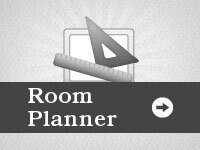 Full/Double: All full or double beds can be found in this category, although most beds are also available in different sizes. 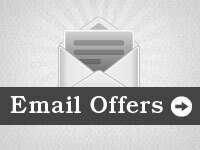 California King: All California King beds can be found in this category, although most beds are also available in different sizes. 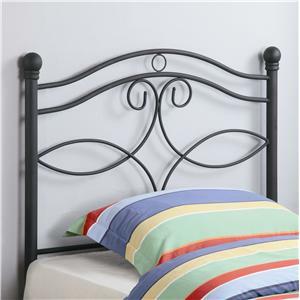 Headboard Only: Headboard only beds are just a headboard without a footboard, rails or frame. Headboard Only beds occasionally include a frame or rails to form a complete bed however these items are usually sold seperately. 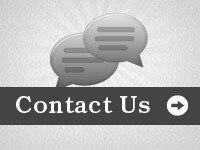 Headboard + Footboard: Headboard and Footboard beds can also be called complete beds since they include a headboard, footboard and rails or a bed frame. However, occasionally a bed frame may have to be purchased seperately. 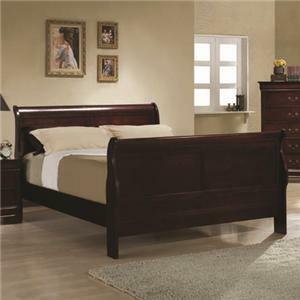 Headboard and Footboard beds come in many styles and forms. Sleigh Bed: Sleigh Beds include a headboard and footboard which roll outward at the top creating a similar look to that of a traditional sleigh. Poster Bed: Poster Beds have a headboard and footboard with posts on the four corners. Posts vary in shape and size and some can be used to support a canopy or curtains. Platform Bed: Platform Beds are beds whose base consists of a raised, flat, hard, horizontal surface and clean lines meant to support just a mattress. Platform beds provide firm cushioning and with the support of slats or solid paneling, they eliminate the need for a box spring or a mattress foundation. They give adequate support for a mattress by itself. Bookcase Bed: Bookcase Beds can include headboards and footboards or are often sold as headboards only. The headboard has bookshelf like storage with either shelves doors or both. Canopy Bed: Similar to poster beds canopy beds have a headboard and footboard with posts on the four corners which support a canopy or curtains. 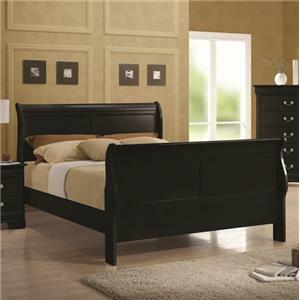 Upholstered Bed: Upholstered beds can include a headboard and footboard or just a headboard. 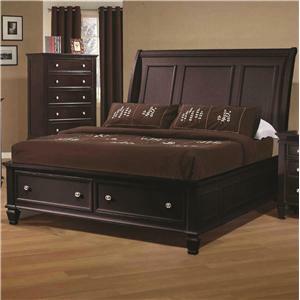 The headboard and occasionally the footboard as well are covered with leather or fabric. Daybed: Often thought of as a couch that can be converted into a bed, daybeds come in many forms and styles including fully upholstered or covered in fabric and metal framed with a mattress or cushions. Bunk Bed: Bunk Beds are a bed with another bed build or attached above the other. Bunk Beds are ideal for youth bedrooms or guest rooms. Loft: A loft bed denotes a bunk bed that has only the top bunk, creating an open space underneath that can be occupied by a chest, drawers, or even a work area. This makes loft beds an efficient use of small spaces by utlizing the entire vertical area that would otherwise be left unused. Captain's Bed: A bed consisting of a shallow box with drawers in the side and a mattress on top. Master Bedroom: Adult bedroom furniture. Youth Room: Children's bedroom furniture.